Not everyone sells epic mounts and top-tier PvP gear in Azeroth. Some NPCs just stand in the middle of busy cities, and besides getting one or two pointless items from them, their presence is absolutely pointless. Wowcrendor collected ten of the most useless ones in his latest video. 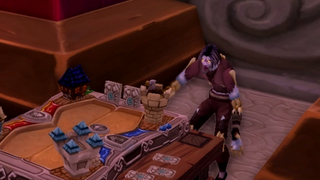 She's not featured in the video below, but I'd nominate the fruit vendor in Shattrath City as the number one most useless NPC in WoW.